See vintage diesels on parade at the Illinois Railway Museum. Visit Taltree, a fascinating two-acre garden railway exhibit that combines railroad history with exciting train aciton. 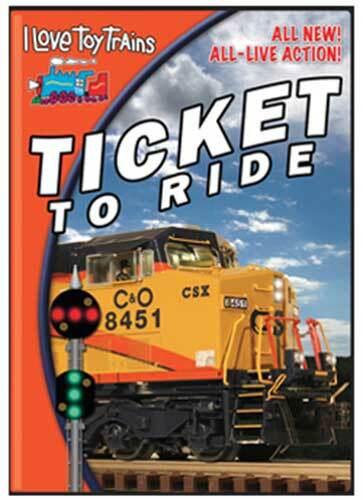 Great mix of real and toy train action Guaranteed fun for the entire family. chris collins (fletcher north carolina) on 2014-06-24 17:58:55. The only goof in this 2013 DVD, is that they don't know the difference between a climax and a heisler. A climax is a logging loco on where the piston vaults is located at a 45 degree angle, and a heisler is a logging loco on where the driving wheels are on the front of the boiler, under the cab, and on the tender.